The Donald Trump triumph, in the recently concluded Presidential elections in the United States for choosing a new president, was entirely unexpected. Hopes were pinned on Hillary Clinton becoming the first lady of the US. 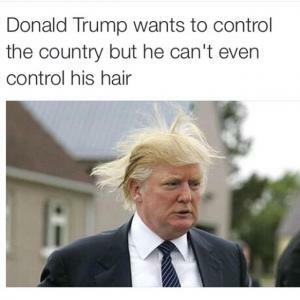 Do you remember the jokes cracked on Donald Trump triumph and his candidacy? They were very prominently doing the rounds on the internet and at times even crossed the limits to put them in the “insulting” category. However, post counting, the same man came out as being the most powerful man in the world at the moment. The world has now to move on, keeping all the memes behind. After being tagged as the President of United States of America, though unofficial still, the ball is now in the Republican Party candidate’s court. Cashing in on the Diwali festival in his campaign, Donald Trump tried to play the religion card in a way, when he said, “I am a big fan of Hindu…I love Hindu“. Well, there’s no harm in these types of campaigns targeting a particular community, it remains to be seen if a statement like this would reflect in Donald Trump triumph in the days to come. Why it’s important to see how Donald Trump approaches India is because Republican presidents have had a soft corner for India. Democrats and Republicans have had alternate chances to be in the White House for the past three presidential terms. Starting with Bill Clinton – the Democrat and the outgoing President Barak Obama. In between these two, was Gorge W. Buss, who was the Republican face like Donald Trump. India does share a good rapport with Republican presidents. Will history repeat itself in the form of Donald Trump triumph? Let’s have a look. It’s vital to see what India stands to gain as Donald Trump is the President-in-waiting. In one of the most important issues for India regarding terrorism, Donald Trump has tagged Pakistan to be a semi-stable nation that has always supported terrorism in the Indian subcontinent. This should be a good sign for India. That’s not all. Mr. Trump also added that Pakistan is safe havens for terrorists. Well, Donald Trump’s statement saying he is a fan of Hindus does reflect here for sure. Donald Trump has even been strict with China calling them currency manipulators. He also went on to add that he would make China pay bountiful of tariffs, provided they don’t consider their trade understandings. As if that wasn’t enough, he even labeled China as one of the top adversaries of the US. This should also be in favor of India as India is openly asking the citizens not to use Chinese goods. The ties between India and the US have got a second life during the days of the Atal Bihari Vajpayee Government in India. The Silicon Valley was the common thread here with many Indians getting a chance to work as software professionals over there. Continuing with the same trend, Donal Trump wants the Indian entrepreneurs as well as students to join hands with the US. A few immigration rules, which Donald Trump is strict on, can come in between. But, it’s likely that those things won’t prove to be any serious issues. 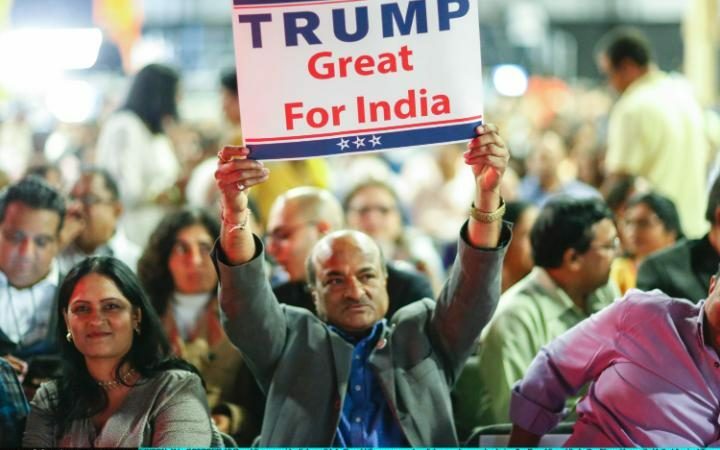 Donald Trump triumph also has two sides in the Indian context. If there are any high points, there are some lows too. The H1B visa programme has always remained in the talks in the past few weeks as the campaign was heating up. According to the 45th President of the US, the current set of rules of this programme aren’t fair. And they were promised to be changed in case Mr. Trump wins in this election. Two big Indian players – Infosys and TCS are the ones that are most likely to be hit. And it’s really going to be a bad hit. The double stance that Donald Trump takes towards India is a bit confusing. He has been heard of praising India of a few occasions. But at times, he speaks out his determination of pulling the US jobs back (from India). This will seriously raise employment issues for the Indians. And don’t forget, this also includes stricter immigrant rules as well. The hawkish trade policy sighting “America first” is as ambitious as it can get. One of the most strict clauses includes renegotiating almost all the business understandings. This obviously includes all the trade deals and treaties. No wonder, India has to watch out for this as well. The stricter rules in the America first plans are likely to hit India in the next few months.